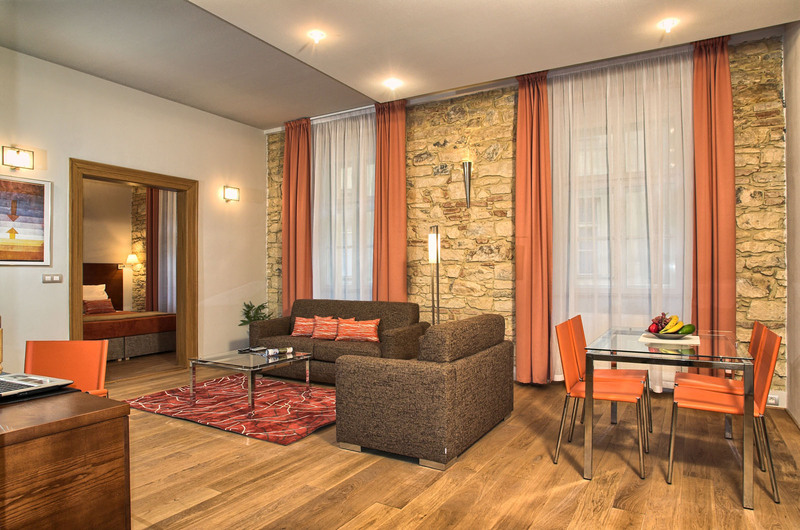 The location is really excellent – just a few steps from Old Town Square and Charles Bridge. The area is surrounded by many bars, cafes and restaurants. Only five minutes away is huge shopping mall, where you can buy food, clother, jewellery and many more. We are looking to host you in Residence Rybna in Prague soon. 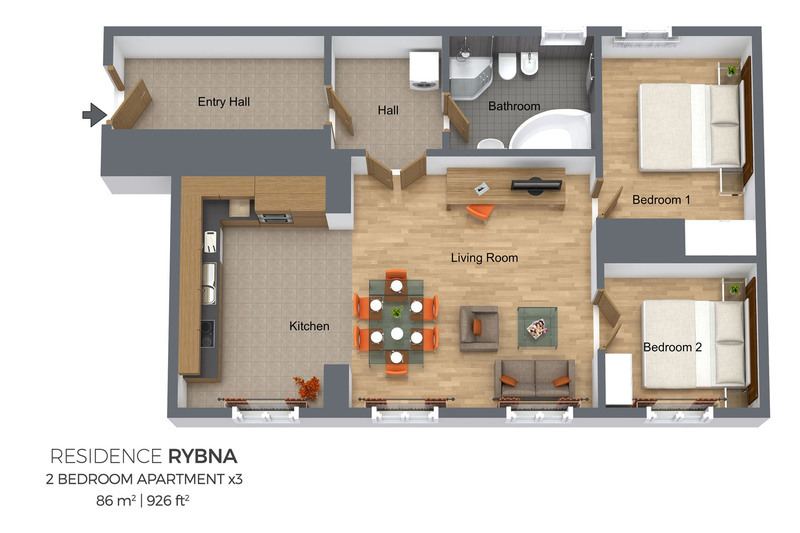 The Rybna apartment gave us the space to accommodate ourselves and our visitor from Australia. The issues with the hot water in apartment #23 were proactively notified and resolved with no inconvenience for us. The #13 replacement apartment while almost the same size as #23, only had high windows in one bedroom and the bathroom which were less than convenient when we wanted to achieve some cross-ventilation. The apartments are well equipped although we were fortunate in experiencing excellent Prague weather and hence spent only the nights in the apartment. But we appreciated having the apartment facilities available in case the weather had not been so good ! 5I did however note that the satellite TV receiver did not appear to have an an antenna connection and reported that to your front-office staff. The front-office staff were excellent and we appreciated their assistance to call a taxi for the departure of our visitor. BTW, we stayed three nights (16, 17, 18 April) - your header shows only two. 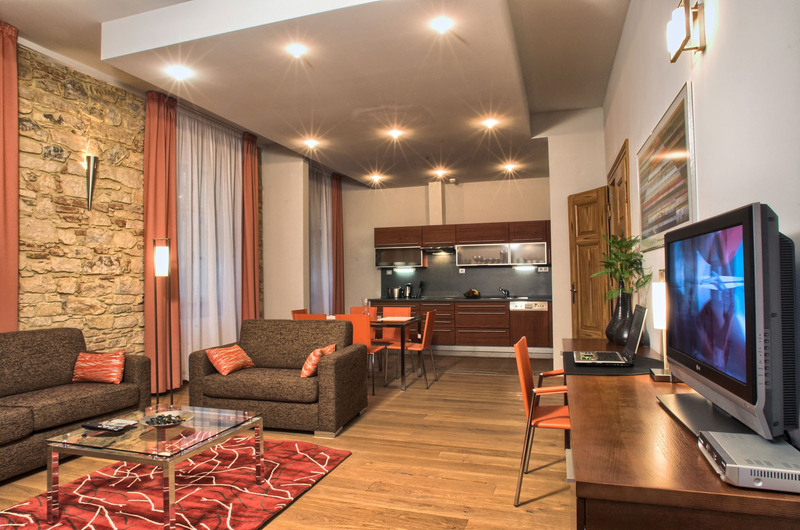 We certainly will consider your apartments for our next visit to Prague. 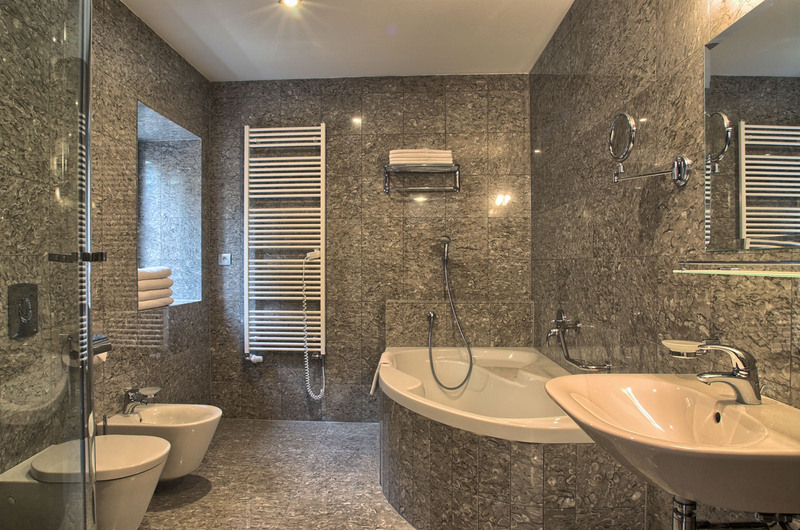 Really enjoyed staying in this apartment- was very close to Christmas Markets and amenities. We (family with 2 children) really enjoy our stay on Prague. Location of the apartment was excellent. 3 minutes and you are on Old Town Square. All other sightseeing places were also in waling distance. Everything was up to standards. Personnel was responsive and professional. If I come to Prague again, I would probably again stay at this apartment. Difficult to thing of something negative. Building does not have elevator. For us it was not a problem (since the children are 15 and 10 and were waling all the day anyway) but may be an issue for small children or elderly people. I had the pleasure to stay in a fully furnished apartment this building for a few months this summer. 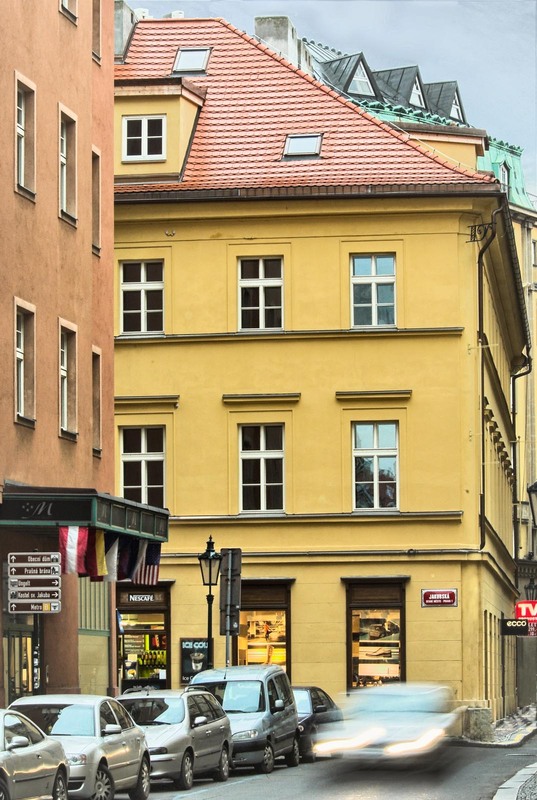 The building is located at the edge of old town, within a few minutes walk of old town square in one direction and a major metro and tram stop and modern shopping mall in the other. Lots of good restaurants, shopping, supermrkets and a gym very close by. 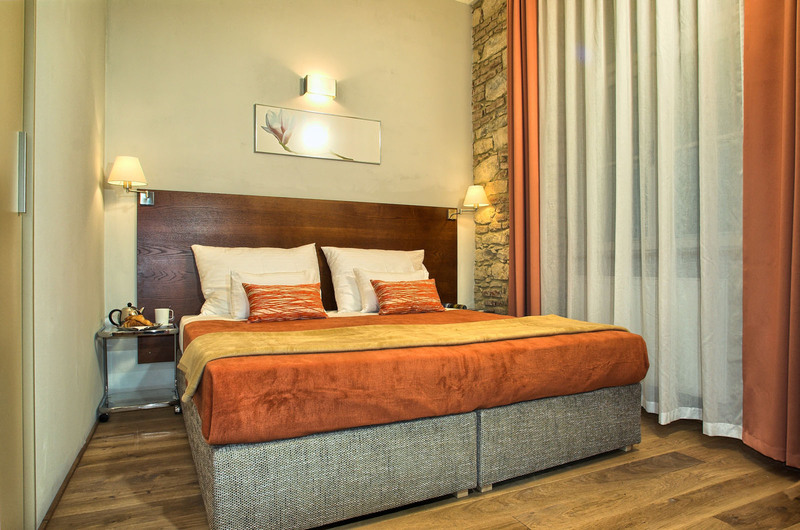 The apartment was large, bright and clean, with fast reliable wifi. While the Old town square area can get a bit noisy on the weekends from tourist groups, this apartment had double windows and when they were closed it was very quiet, plus the apartment was air conditioned (a rare convenience in Prague) so keeping the windows closed was not an issue on hot days. Management was veryresponsive to anything that I needed during my stay. I plan to stay here on my future trips to Prague. All excellent. One little problem with the shower, that had some difficulties draining the water. 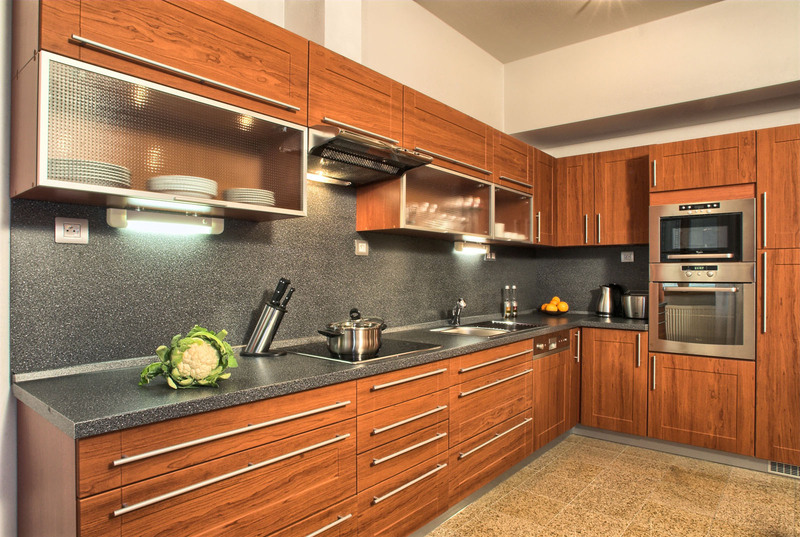 The apartment was beautiful and well equipped with anything/everything we needed for our family vacation in Prague. The location was fabulous and the staff was so helpful from booking the reservation, scheduling airport transfers,storing our luggage on the last - the service was superb. This is my second time to stay at this property (last time was in the 3 bedroom) and I have recommended to lots of clients - only complaint I could have is the air conditioning - being from Texas I am use to the heat - but I can always get cool in building due to good a/c but I could never get cool - even brought a small fan from home - only way I could sleep. 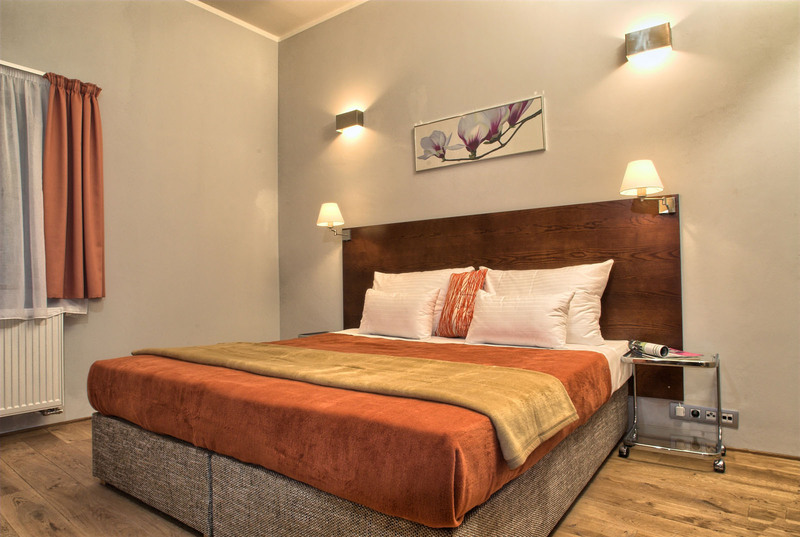 We were thinking of renting a car, But the location of the apartment made every location possible to walk to , the apartment was also quite we had good time and stay !